She is a dermatologist and venereologist. Graduate of the 1st Faculty of Medicine at the Medical University in Warsaw (WUM). She is a member of the European Academy of Dermatology and Venereology. 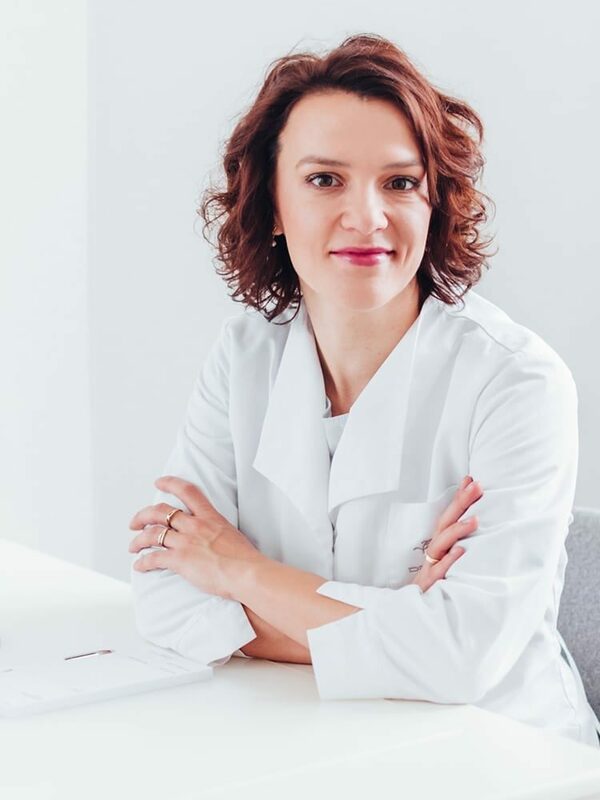 By taking part in numerous conferences, both locally and abroad, she constantly expands her expertise in dermatology and aesthetic medicine. In May 2016, she successfully completed an international course in laser therapy in Trieste, Italy. It was carried out by world-known experts in this field. Her professional passion is dermatosurgery. At Dermea, she has been dealing with surgical removal of skin lesions, diagnostics and treatment of skin diseases, as well as dermatoscopic assessment of lesions. She performs procedures in the field of aesthetic medicine and laser therapy.